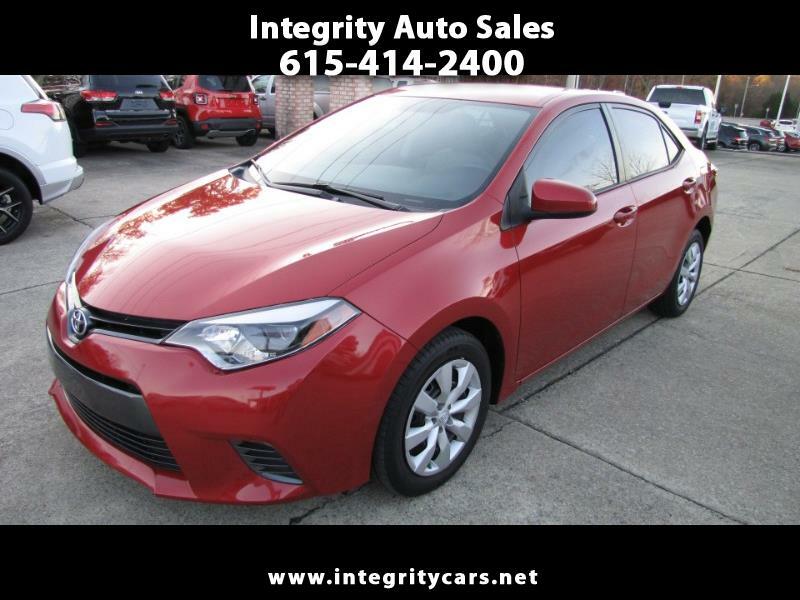 ***This 2016 Toyota Corolla LE is a very clean low low mil vehicle that is nicely loaded for anyone needing a great lasting runner or youth vehicle, that is also great on gas. It's a one owner Lease turn-in car and very well kept. Clean inside, outside and under the hood. It has all your usual buttons and amenities. Looks and runs like a new one. Pretty sparkling Barcelona Red/Maroon color with lite gray interior. Perfect car in every way. Come and see or call 615-414-2400 Have a good day!